The three nearest train stations to Brockwell Park are Herne Hill, Brixton Station (Underground) & Tulse Hill Station. There are two entrance gates to the event located via Brixton Water Lane and the Herne Hill gate off Dulwich Road. ALL OTHER PARK GATES WILL BE LOCKED, SO PLEASE MAKE YOUR WAY AROUND TO ONE OF THE TWO EVENT GATES ONLY. ROAD CLOSURES WILL BE IN EFFECT FROM 6.30PM TO 9.15PM ON DULWICH ROAD, NORWOOD ROAD AND MILKWOOD ROAD BY HEARNE HILL STATION. THERE ARE A NUMBER OF PARKING RESTRICTIONS IN THE IMMEDIATE SURROUNDING AREA, SO PLEASE COME ON FOOT, VIA PUBLIC TRANSPORT OR BY BIKE IF AT ALL POSSIBLE. THANK YOU. Brockwell Park is easily accessible by bike. Please see where 'P' is marked on the map for suggested places to lock up your bike. 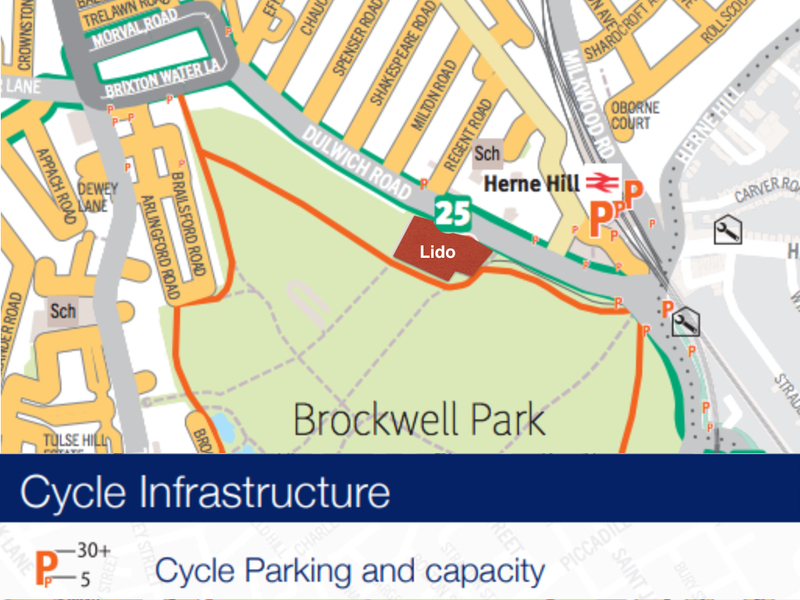 There are two entrances to the event: Brixton Gate and Herne Hill Gate. All other gates will be locked.